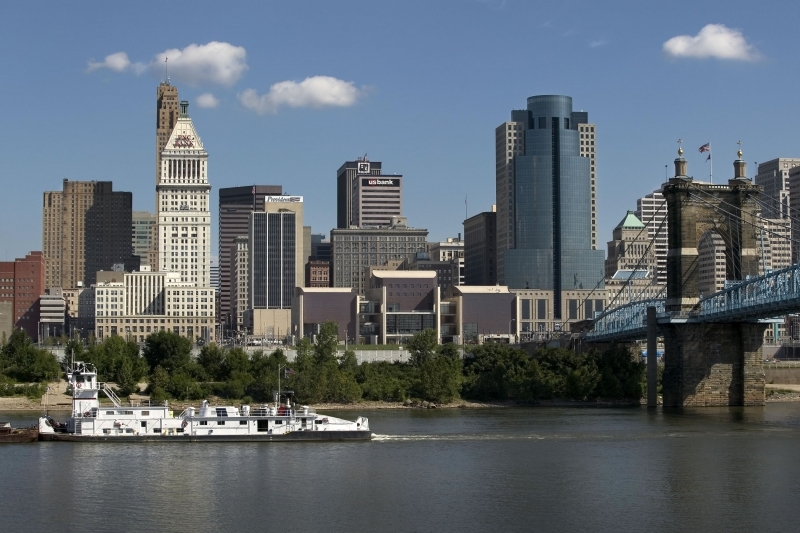 The Cincinnati-Middletown metro area is a fifteen county metro area located primarily in southern Ohio, with Cincinnati, also known as the Queen City, as its anchor city. After the mid 20th century, Cincinnati saw a significant drop in immigration, and foreign-born population. However, in recent years that trend has started to change. With a new plan set in place to make the city more immigrant friendly, Cincinnati looks to greatly increase their immigrant population. Over the past decade the immigrant population has almost doubled, and the city looks to keep this up in the future. The greater Cincinnati area is the largest MSA in the state of Ohio, and it has counties in Kentucky, and Indiana as well. Over-the-Rhine, a neighborhood in Cincinnati built during a period of high German immigration, is considered to be the largest, most intact urban historic district in the United States. It also has the largest collection of Italianate Architecture in the country. The greater Cincinnati area has seen over a 75% increase in the foreign-born population in the last decade, and over a 100% increase in the subuarbs. The greater Cincinnati area is home to over 25,000 refugees. Since 2008 over one thousand Bhutanese refugees have resettled in Cincinnati. Historically, Cincinnati's immigrant population has come primarily from European countries. However, as that immigrant population continues to decrease, the immigrant populations from Latin America, and Asia are increasing at a quick pace. Since 2000, the Latin American population has more than doubled. A constant flow of Hispanic immigrants are moving to the ever expanding suburbs of Cincinnati looking for jobs and affordable living prices. This trend is expected to continue, and by 2050 it is expected that the Latin American population will make up over 25% of the population of Cincinnati's suburbs. The Asian population is the largest foreign-born population in the greater Cincinnati area. Over the past two decades, the Asian population has seen a steady increase in the city. With the new plans to increase the cities immigrant population, there is reason to believe that this steady growth will continue, or even increase in the future. Displaying 1-25 of 53 results. A City of Immigrants- A good website giving news and information on the major immigrant groups living in Cincinnati. Bhutanese Community of Cincinnati- A website detailing the goings on and giving information on the Bhutanese community found in Cincinnati.